In this tutorial you will learn how to make youtube channel background transparent, or more accurately make it white as this will give the effect of transparency as white is the standard background color for YouTube. 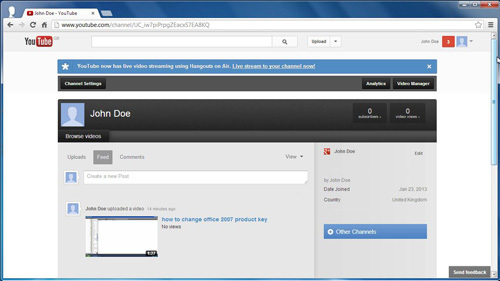 Visit the YouTube homepage and make sure you are logged into your account. You will notice your username in the top right hand corner of the screen, click on this. 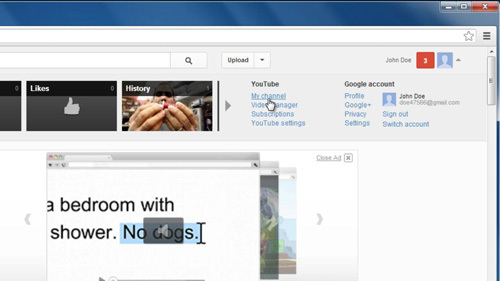 In the menu that appears below your username click on the “My Channel” options. A new page will load and you can see that the background is currently set to a rather ugly yellow color. We want to change this to transparent so it matches with the rest of YouTube. Click “Channel Settings” in the top left hand corner of the screen. You will be taken to the “Channel Settings” page. You will see an area of the screen called “Background” and a drop down box that will allow you to “Choose a color”, click on this and choose the white option in the top left. Finally, click the “Done Editing” button in the top right of the window. 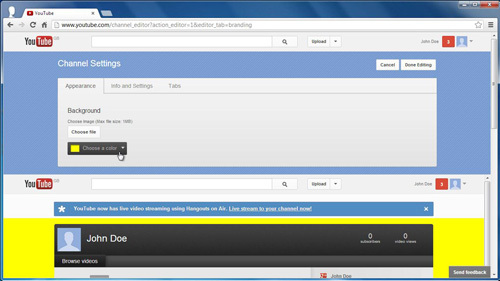 This is how to make youtube channel background transparent and you can see the change has been successfully applied to the “My Channel” page.